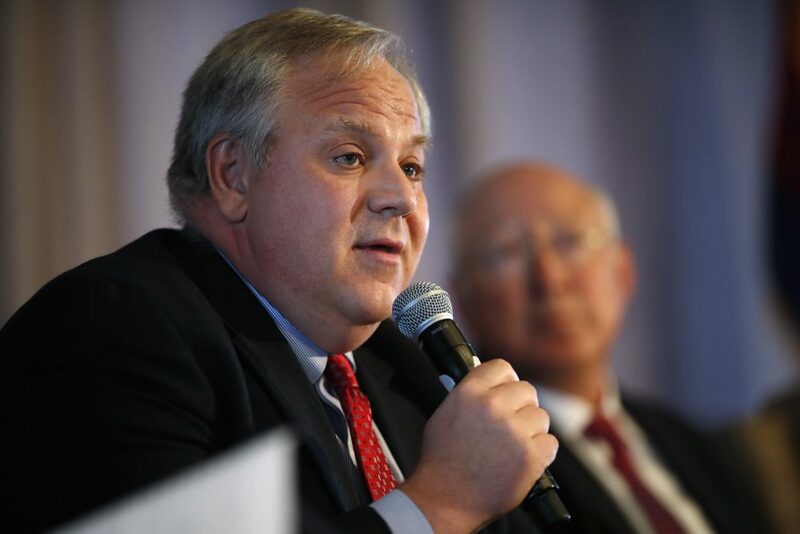 Sen. Ron Wyden, an Oregon Democrat, said Bernhardt’s past lobbying work for clients in energy, agriculture and other businesses made it impossible for the nominee to impartially decide a host of regulatory matters dealing with the public resources under Interior’s control. Asked by Sen. Joe Manchin, a West Virginia Democrat, if he would take himself out of regulatory dealings involving past clients when a one-year mandatory recusal period ends, Bernhardt pushed back. Sen. Angus King, an independent from Maine, asked the nominee about President Trump’s drive to open federal waters to potential oil and gas development and about coastal states’ broad objections to that.